With Trump’s Justice Department Retreating, Who Will Now Police the Police? The Department of Justice is moving away from taking on abuses by local law enforcement. This is what that means for Elkhart, Indiana. 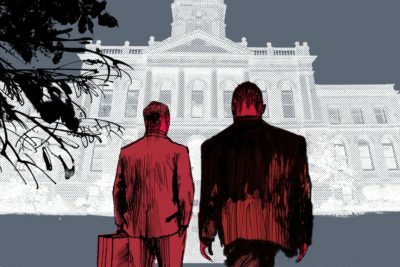 This article was produced in partnership with the South Bend Tribune, a member of ProPublica s Local Reporting Network. It was co-published with the New York Times. Last month, a video was released of two police officers in Elkhart, Indiana, repeatedly punching a handcuffed man in the face. The episode was just the latest in a long-troubled Police Department where nearly all of its supervisors have disciplinary records. Sessions was a longtime opponent of these agreements, complaining that they damaged police morale and smacked of federal overreach. But his critics say his last-minute move is likely to further the Trump administration’s efforts to impede police reforms nationally. For instance, the Obama Justice Department had wanted to revamp the police department in Ville Platte, Louisiana, where officers have a long history of jailing people without probable cause. 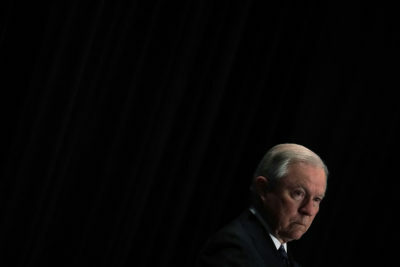 But once Sessions took over, the Justice Department settled on a watered-down version of the ambitious reform plan Obama administration officials had envisioned. As ProPublica has reported, illegal arrests remain a reality of daily life in Ville Platte. But Neese may be left on his own trying to fix a department with a tumultuous history. 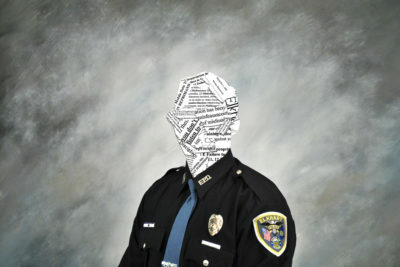 Of the 34 supervisors in the Elkhart, Indiana, Police Department, 28 have been disciplined. Fifteen have been suspended. Seven have been involved in fatal shootings. Three have been convicted of criminal charges. He isn’t alone. Of the department’s 34 supervisors, 28 have disciplinary records in their personnel files. One is the mayor’s son, a sergeant once reprimanded for firing 13 times at a dog, with at least two bullets striking a house. Fifteen of the supervisors have been suspended, including the chief, assistant chief and patrol captain. Three were convicted of criminal charges during their careers. As Neese awaits word from the Justice Department, Chief Windbigler has been placed on unpaid leave for 30 days, putting the department in the hands of Todd Thayer, the assistant chief. His disciplinary record includes a five-day suspension, seven reprimands and a two-step demotion, for making flippant comments about a fatal shooting. He said an officer who opened fire could now check that off his “bucket list,” according to his personnel file. The South Bend Tribune and ProPublica are investigating criminal justice issues in Elkhart County, Indiana. If you have a story to share, please email elkhartjustice@sbtinfo.com. Ken Armstrong is a senior reporter at ProPublica.